The Toronado out of Pierpoint Landing ran an extended trip to San Nicolas Island, on Saturday, 11-26-11, catching 25 Sheephead, 91 Whitefish, 240 Rockfish and 28 Lingcod for 29 anglers. 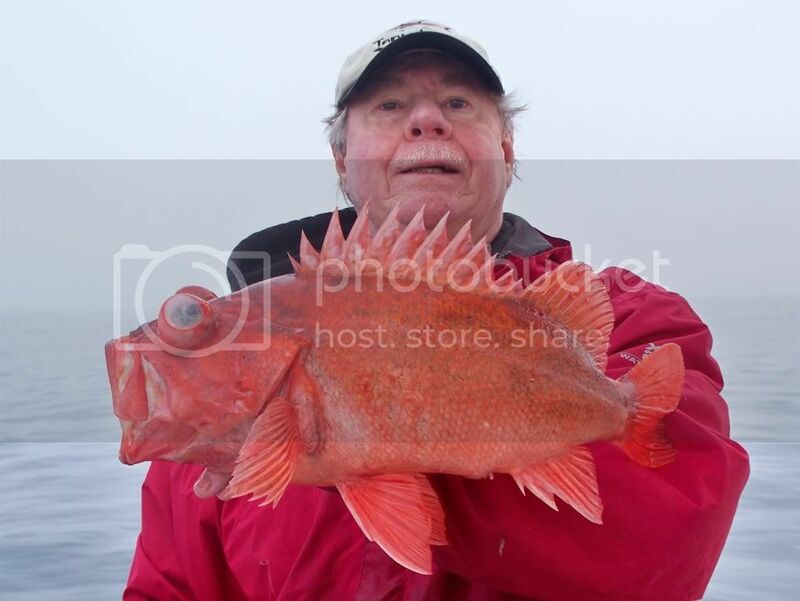 The Pacific Voyager ran a 1.5-day trip to Colonet on Saturday, 11-26-11 and the 17 anglers caught limits of Reds and other Rockfish, with 19 Lingcod. 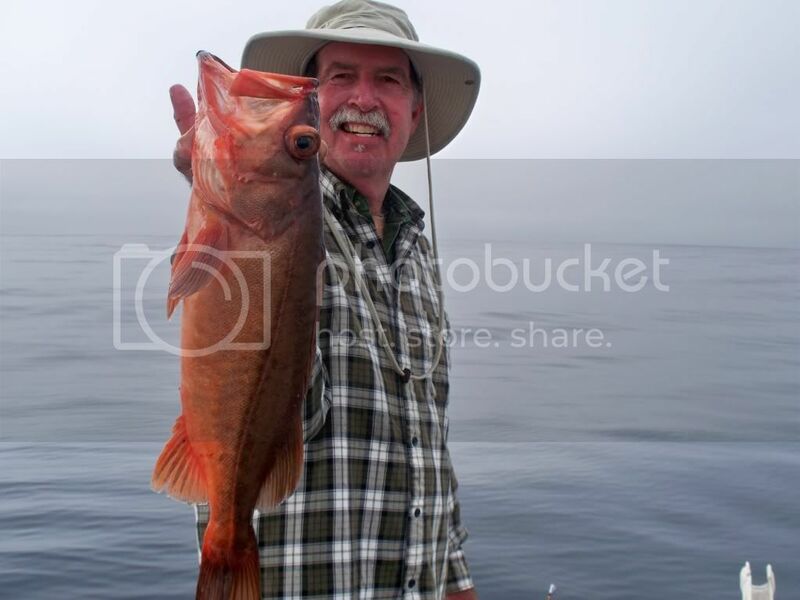 The Constitution also ran a 1.5-day trip to Colonet on Saturday, 11-26-11 and the 20 anglers who caught 160 Rockfish and 30 Lingcod. At Catalina, -There were no reports of Exotics from the Island this week. 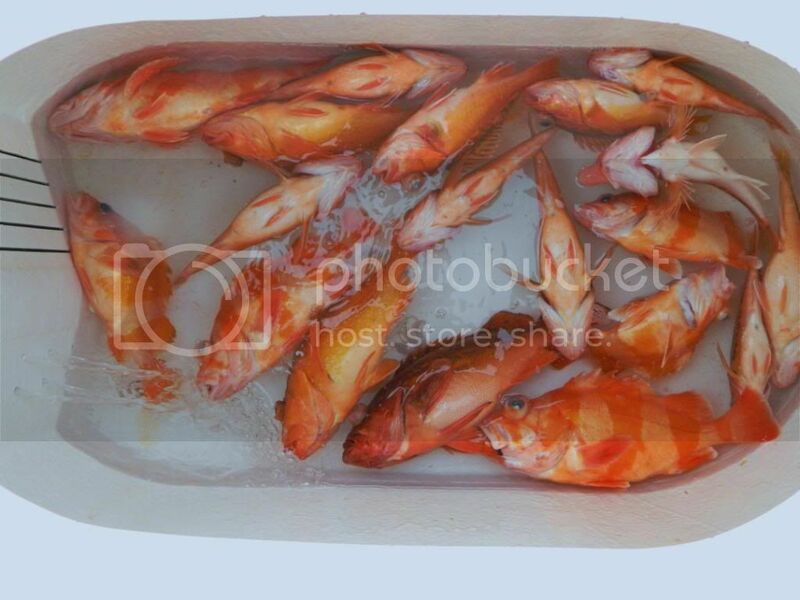 Mostly Rockfish, Whitefish and Sheephead are being caught, with few boats fishing the Islands. 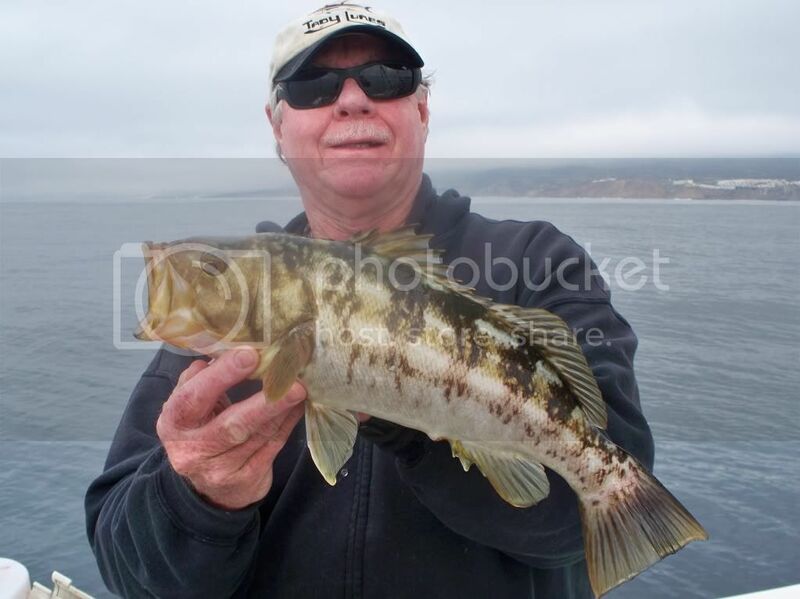 At San Clemente Island, -Consistent fishing for Rockfish and Sheephead, very few Calico Bass. On the local scene, The Calico and Sand Bass fishing can be good with the right conditions on certain days, as the Clemente on its ¾ day run on Monday, 11-28-11 had nearly four around on mixed Bass, while the ¾ day boat Patriot out of Newport Landing caught 3.5 mixed Bass per angler on Tuesday, 11-29-11. The ½ day boat Monte Carlo out of 22nd Street Landing caught over 5 around on Wednesday, 11-30-11. Twilight fishing: The Freelance ran a twilight trip out of Davey’s Locker on Saturday, 11-26-11, with 21 anglers catching 7 Sand Bass, 1 Rockfish, 63 Sculpin and 3 Cabazon. The Slammer out of Redondo Sportfishing ran a trip on Sunday, 11-27-11, with 4 anglers catching 1 Sand Bass, 24 Rockfish, 3 Sculpin, 25 Lobster and 1 Rock Crab. 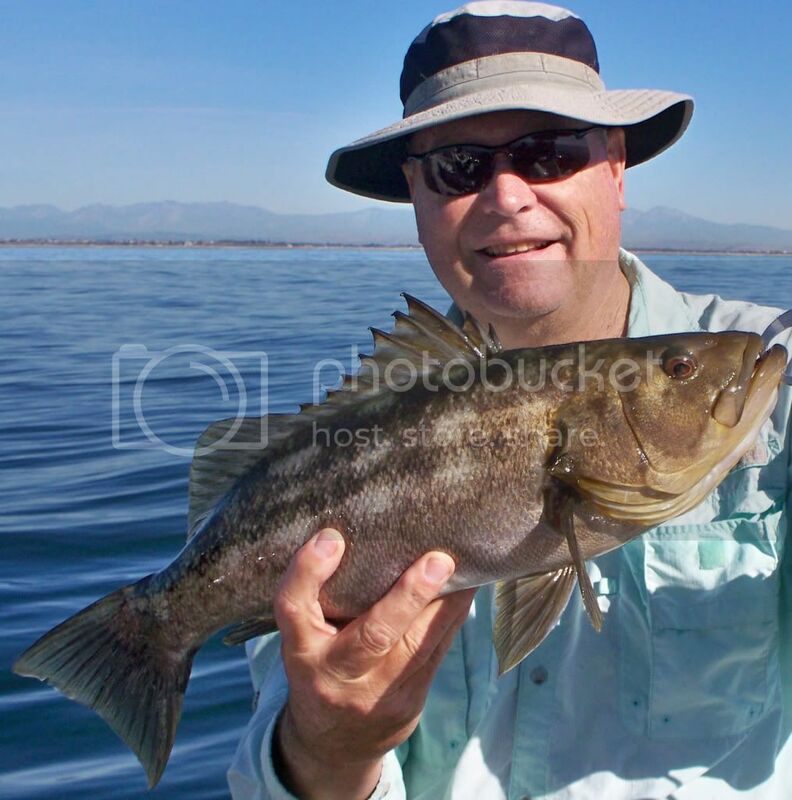 Private boater Robert fished with friend Juan on Sunday, 11-27-11, and had a good day on the rockfish. The ½ boat Redondo Special caught 1 Sheephead and 190 Rockfish (limits), on their trip Saturday, 11-26-11, for 19 anglers, while the ¾ day boat Tradition is out for re-powering. The ½ day boat New Del Mar caught 1 Sheephead, 10 Whitefish, 49 Rockfish and 340 Sculpin (limits), on their trip Sunday, 11-27-11, out of Marina Del Rey, for 68 anglers. 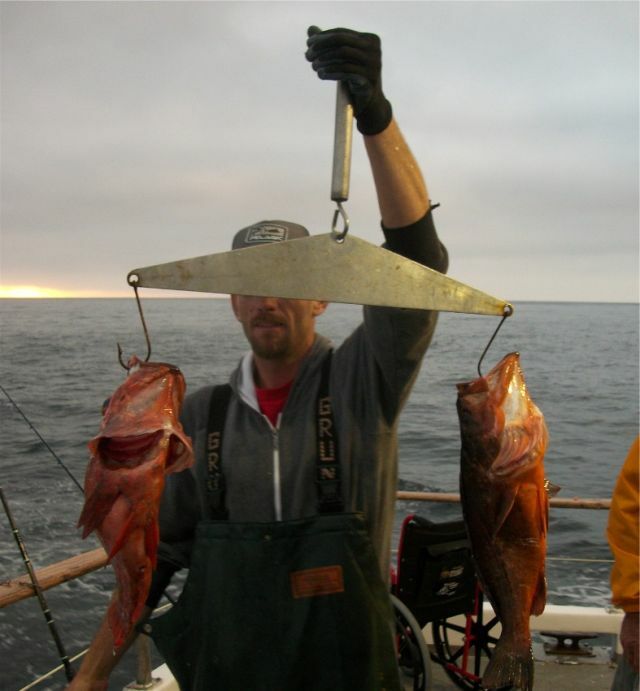 The Spitfire caught 180 Rockfish and 114 Sculpin on their trip Sunday, 11-27-11, for 38 anglers. 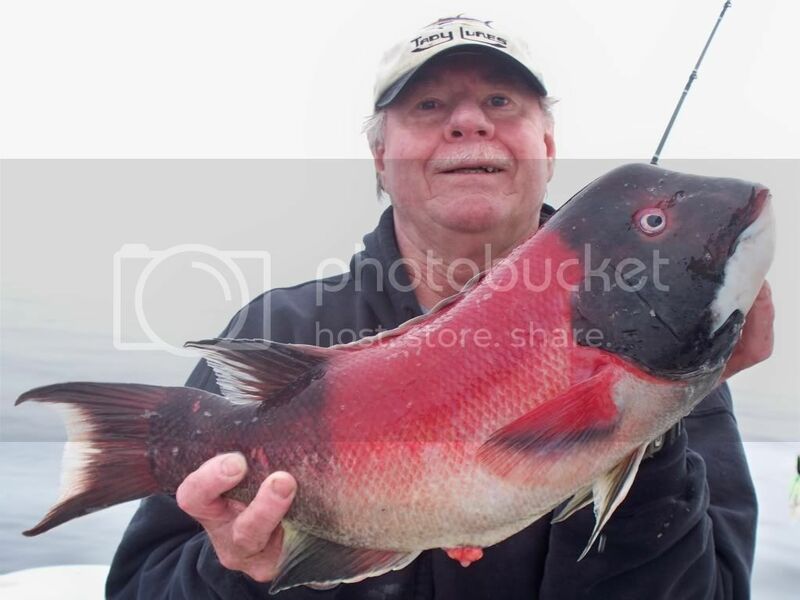 The 3/4 boat Betty O caught 13 Sheephead and 80 Rockfish (limits), for 8 anglers on Saturday, 11-26-11. The Freelance ran a ¾ day trip out of Davey’s Locker on Saturday, 11-26-11, with 38 anglers catching 1 Calico Bass, 5 Sand Bass, 66 Sculpin, 7 Perch and 1 Sargo. The Western Pride, out of Davey’s Locker, fished Wednesday, 11-30-11, with 13 anglers catching 3 Sand Bass, 10 Sheephead, 33 Rockfish, 1 Lingcod, 3 Sculpin, 10 Perch, 3 Sargo, 16 Red Snapper and 1 Cabazon. The ¾ day boat Patriot out of Newport Landing caught 12 Calico Bass, 52 Sand Bass, 3 Sheephead, 5 Rockfish and 3 Sculpin on their Tuesday, 11-29-11, trip for 18 anglers. The ½ day boat Sum Fun out of Dana Wharf caught 7 Calico Bass, 14 Sand Bass, 3 Sheephead, 4 Rockfish, 1 Sculpin, 2 Sargo and 2 Red Snapper on their Saturday, 11-26-11, trip for 44 anglers. The ¾ day boat Clemente also out of Dana Wharf fished on Monday, 11-28-11, with 24 anglers catching 1 Halibut, 12 Calico Bass, 72 Sand Bass, 12 Sheephead, 1 Bonito, 4 Sculpin and 2 Cabazon. The Enterprise out of Long Beach Marina Landing caught 9 Sheephead, 49 Whitefish, 72 Bocaccio (limits), 208 Rockfish, 21 Sculpin, 5 Perch, 100 Sand Dab and 48 Red Snapper for 36 anglers on their trip Sunday, 11-27-11. The ¾ day Victory out of Pierpoint Landing caught 1 Calico Bass, 29 Sheephead, 36 Bocaccio (limits), 105 Rockfish, 3 Sculpin and 3 Perch on their trip Saturday, 11-26-11, with 18 anglers. 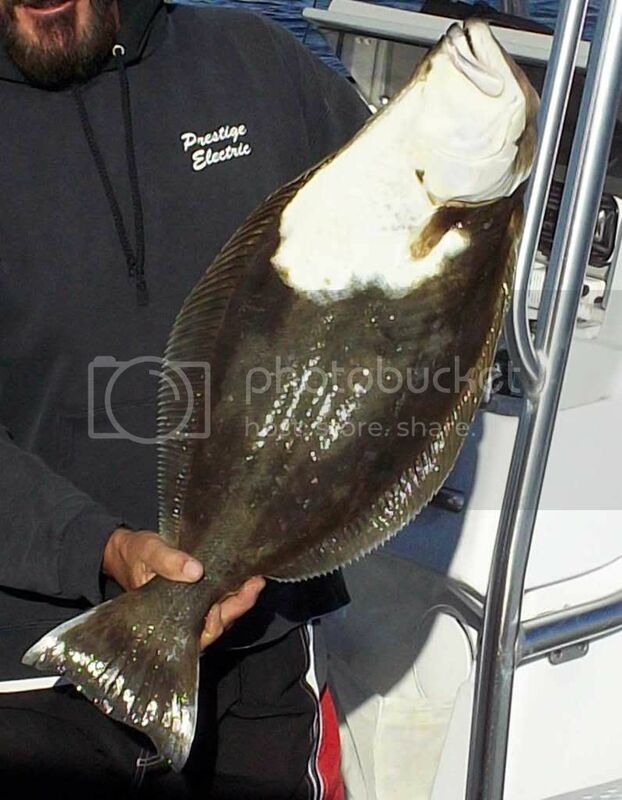 The ½ day boat Southern Cal caught 4 Halibut, 283 Rockfish and 89 Sand Dab on their ½ day trip Saturday, 11-26-11, with 32 anglers. The ½ day boat Monte Carlo out of 22nd Street Landing ran a morning trip on Wednesday, 11-30-11, and the 12 anglers caught 16 Calico Bass, 59 Sand Bass, 22 Sheephead, 4 Whitefish, 9 Rockfish, 5 Lingcod, 3 Sculpin and 21 Red Snapper. The ¾ day boat Sea Angler fished on Wednesday, 11-30-11, and the 8 anglers caught 60 Rockfish, 1500 Sand Dab and 10 Red Snapper. The ½ day boat Matt Walsh out of LA Harbor fished on Tuesday, 11-15-11, with 11 anglers catching 10 Calico Bass, 13 Sand Bass, 9 Sheephead, 4 Sculpin and 4 Perch. The Pursuit out of 22nd Street Landing ran a full day trip to Catalina on Friday, 11-25-11, and the 18 anglers caught 25 Sheephead, 25 Whitefish, 36 Bocaccio (limits), 68 Rockfish, 3 Sculpin, 98 Perch and 9 Red Snapper. 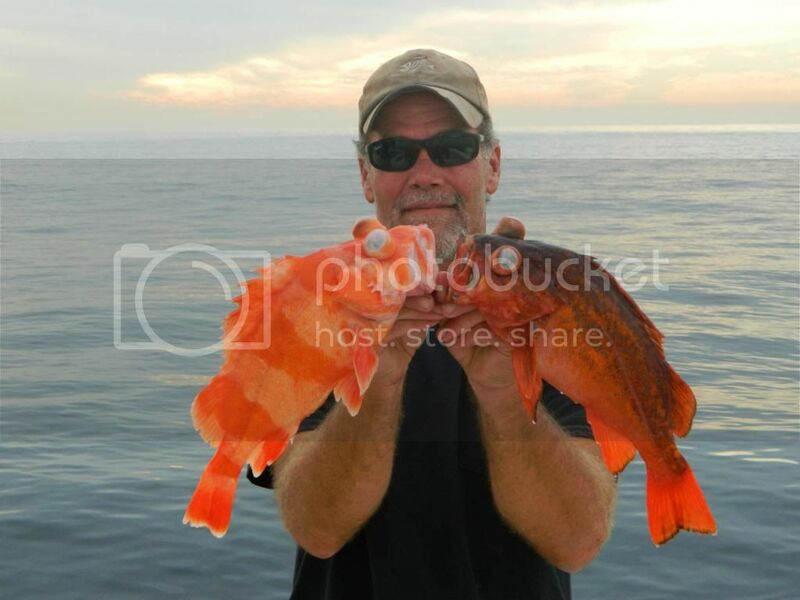 The ¾ day Sport King out of LA Harbor ran a trip on Friday, 11-18-11, with 15 anglers catching 2 Sheephead, 30 Bocaccio (limits), 35 Rockfish, 2 Lingcod, 2 Sculpin and 65 Red Snapper. The Fury out of Dana Wharf ran a trip on Saturday, 11-05-11, with 36 anglers catching 10 Calico Bass, 1 Whitefish, 22 Rockfish, 4 Bonito and 12 Perch. The ¾ day boat San Diego ran a trip on Saturday, 11-26-11, with 24 anglers catching 100 Rockfish and 2 Lingcod. The weather forecast for the weekend looks Breezy on both Saturday and Sunday. Always check the latest forecast before leaving the dock.